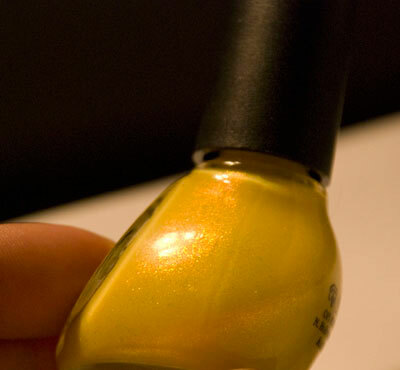 The formula on “Yellow, It’s Me,” was incredibly smooth, and easy to apply, which I was originally concerned about, given how the color needed three coats. You can apply this color with only one coat for a light, gorgeous sheen that is more demure, or apply more for an opaque look. “Yellow, It’s Me” also looks incredible as a topcoat over a peachy creme nail polish! What I liked most about this shade of yellow, is that it will be universally flattering to many different skin tones, which is a rare find in a yellow polish. I purchased this color at Walmart, where the advertisement said, “Walmart Exclusives,” however, you may be able to find these elsewhere, as well. Nicole by OPI is sold at many various drugstores and supermarkets, so to find an exact location in your area, visit Nicole by OPI. After being so pleased with the unique color and shimmer “Yellow, It’s Me” contained, I will most definitely be going back to snag some more of these polishes. 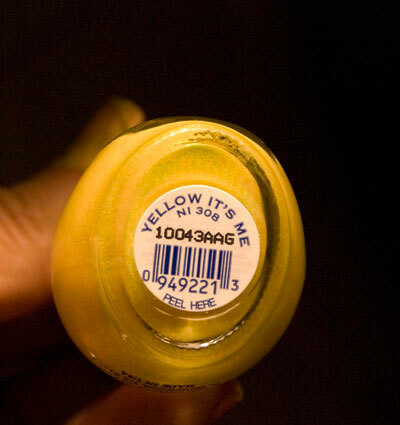 “Yellow, It’s Me,” as well as the other fourteen shades can also be viewed and purchased online, and retail on Amazon for $8.00. I love the new site and the yellow polish! I was looking for a different, new shade for spring just yesterday…found it! Checking out the site and I love what you’ve done so far!I also added you to my blogroll of course. As far as yellow polishes, I haven’t found one that I love with my skin tone, but this one looks interesting/promising. I really need to remember to buy this! I so love it.